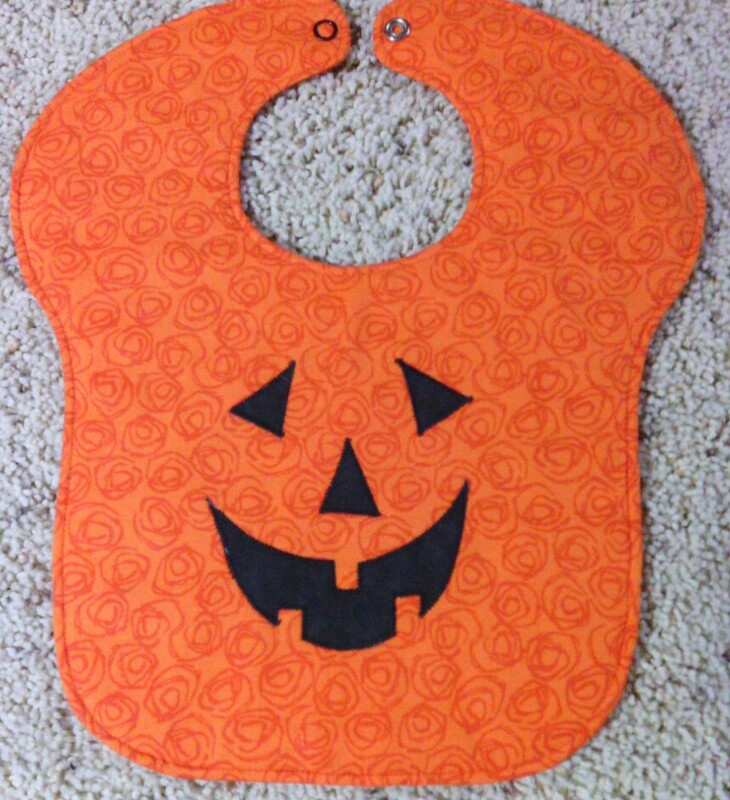 I have been waiting for the opportunity to make this bib. It's fall, I love faces on pumpkins, and my little 9 month old grandson looks great in orange so with a little free time on my hands, I just had to whip it up. Indy will be with me on Friday so maybe we'll even have a live model for a photo shoot. 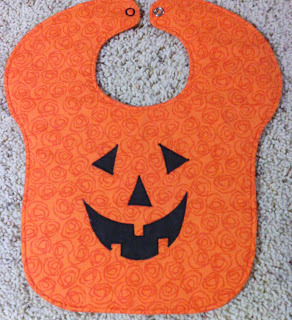 This Jack-o'-Lantern Bib pattern is also in Quick Creative Quilting, a book I have had on the shelf for years. The book currently appears to be a bargain at Amazon so for the price of shipping, you would have many more patterns than just the one for the bib. And please note that the neckline runs small on this pattern.